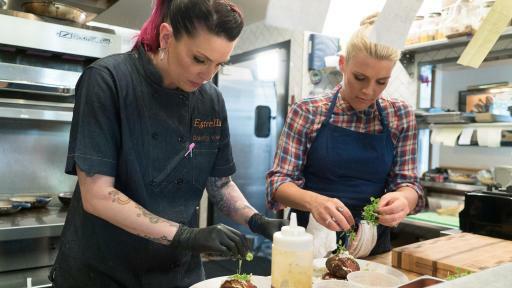 The culinary industry is one of the toughest, and now these celebrities are testing their talents and cooking skills in the hardest place of all, a commercial kitchen, where every dish they serve must be up to the chefs’ high-quality restaurant standards. 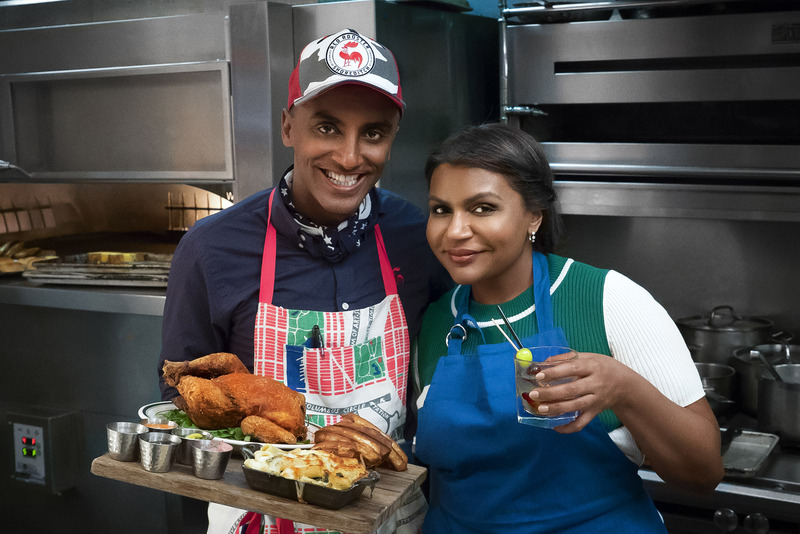 On the premiere, actress Mindy Kaling partners up with Marcus Samuelsson at Red Rooster in Harlem, New York, to make one of her favorite dishes, the signature Fried Chicken Royale. 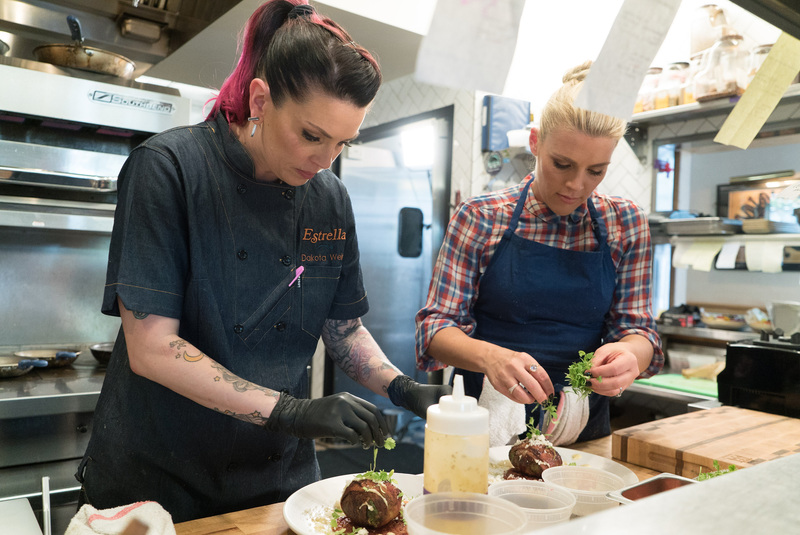 She quickly learns that there is more to this dish than just dredging and frying, but will she be able to perfect the dish for her mentor chef (and a restaurant full of hungry customers) all while trying to avoid the distractions and eye candy in the kitchen? 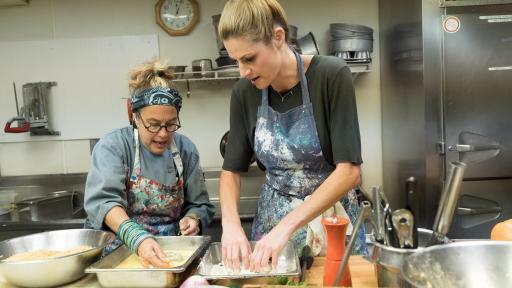 Over the course of the six episodes, sportscaster Erin Andrews will find herself in a whole new ballgame in downtown Los Angeles at Susan Feniger’s Border Grill, as she is forced to step up to the plate and service the ultimate lunch rush, and Alyson Hannigan will be out of her element at L.A. eatery Ink when Michael Voltaggio teaches her some unusual cooking techniques using liquid nitrogen and blowtorches. 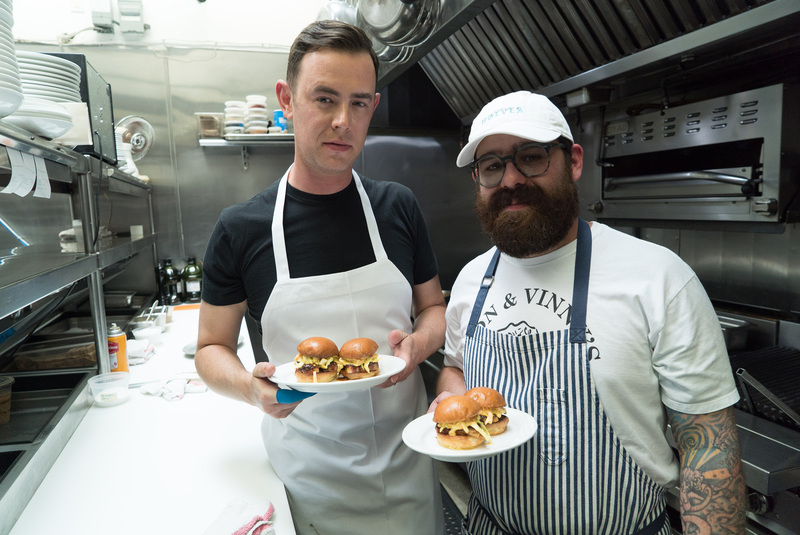 Skills and friendships will be tested when Colin Hanks learns that there is no palling around in Vinny Dotolo’s kitchen at Animal, and in West Hollywood at Estrella, Busy Philipps will try not to crack under the pressure of executing Dakota Weiss’ signature egg and avocado dish. Things also get bittersweet for Minka Kelly as she gets a lesson at Georgie in Beverly Hills on chocolate soufflé from Geoffrey Zakarian. 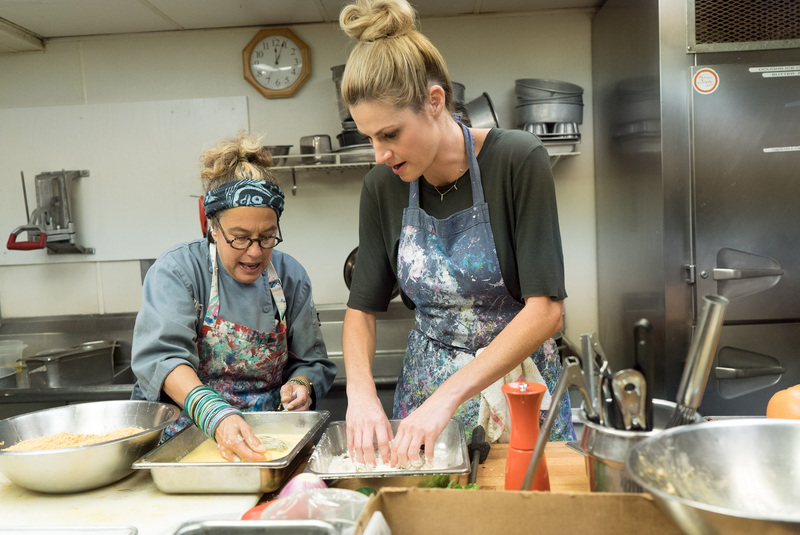 Throughout the season, the stars will try to impress their mentor chefs, but their toughest critics of all are actually waiting in the dining room ready to dig into their Star Plates. 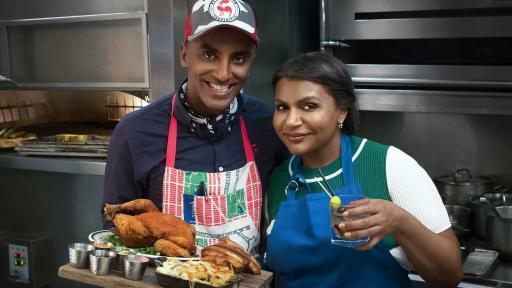 Fans can visit FoodNetwork.com/StarPlates for more on the celebrities in the kitchen. 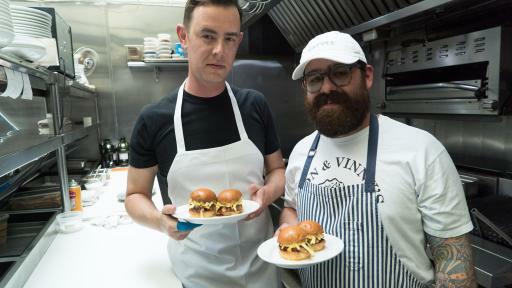 Plus, they can join the conversation on Twitter with #StarPlates. Star Plates is produced by Authentic Entertainment, Flower Films and Bumble Pie Productions.